HumanZyme (now part of Proteintech) is the global leader in providing highly authentic recombinant human cytokines and growth factors expressed from human cells. They ensure high-yield production of recombinant proteins with native human post-translational modifications such as glycosylation, disulfide bonds, and subunit assembly. HumanZyme's HumanKine recombinant human growth factors and cytokines are expressed in a HEK293 human cell line to produce proteins with native human posttranslational modifications. These native-like recombinant human proteins give researchers the best opportunity to achieveme the desired results regardless of project stage. HumanZyme offers the highest quality recombinant growth factors, cytokines and interleukins (such as Activin A, BMP-4, TGF beta 1, IL-6, IL-17, IL-2 and GM-CSF, full catalog here) to meet the application demands of industrial biopharmaceutical and academic customers, from basic research on stem cell differentiation to the development of biological and immune modulating cell therapies. HumanZyme strives to offer new, difficult to express human proteins for stem cell differentiation and maintenance, and for applications in stem cell biology, immunology, developmental biology, and other disciplines. HumanKine recombinant human cytokines and growth factors are tag-free and animal-product free proteins, are scalable, and are competitively priced. 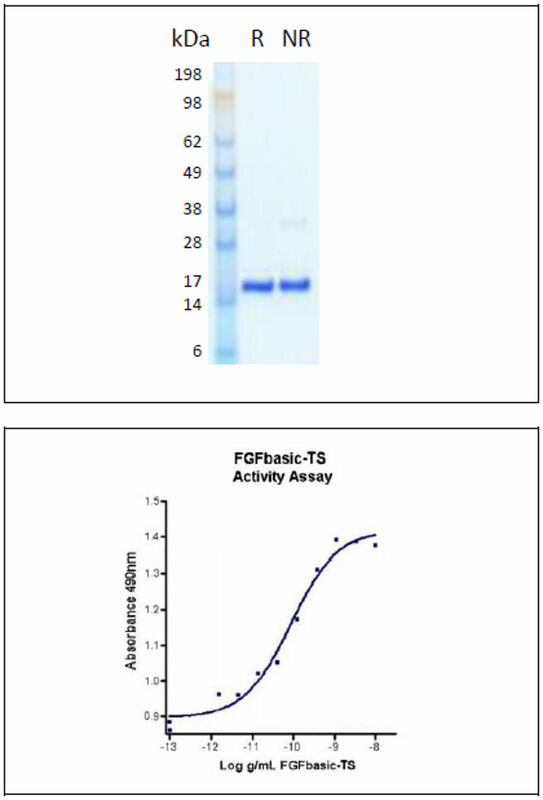 FGF is a required component of stem cell culture media for maintaining cells in an undifferentiated state. Because FGF is unstable, daily media changes are needed. HumanZyme has developed a thermostable FGF basic (FGFbasic-TS) that supports a 2-day media change schedule, so no media changes are required over a weekend. Visit our thermostable FGF basic page to learn more.